Surgery is the best treatment for limited lung cancer. Resection usually includes the entire lung, a lung’s lobes (most used), or a lobe segment. Patients with advanced cancer or metastatic disease rarely gain from surgery. 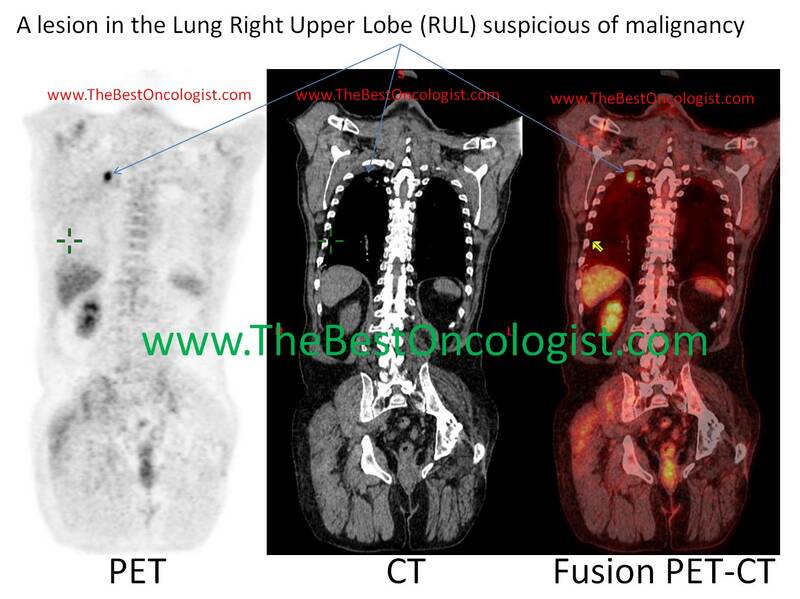 In very specific and rare cases, resection of limited primary lung tumor and single distant metastasis may be considered. 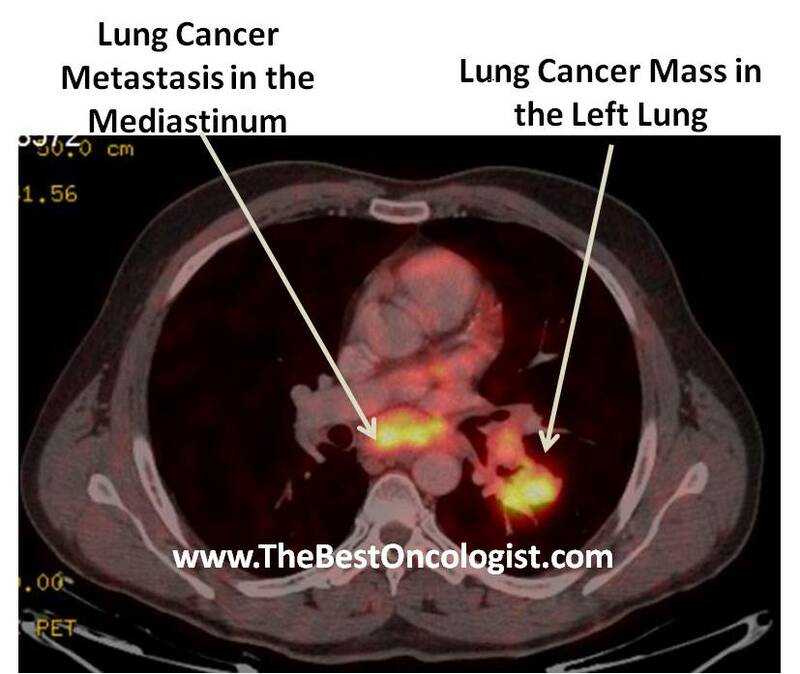 Radiotherapy is a pivotal modality for the treatment of lung cancer. It is used both for curative and palliative treatments. Radiotherapy is also used preoperatively in some patients (with or without chemotherapy) to shrink the tumor size so that surgery become feasible. Side effects of radiotherapy include toxicity to: the normal lung tissue (radiation pneumonitis), heart, esophagus (esophagitis) and spinal cord. These toxicities are more prominent with increased radiation dose and/or intensity, and in patients undergoing concomitant chemotherapy and radiation. Chemotherapy for NSCLC usually includes combination of drugs containing cisplatin (or carboplatin). Other drugs used together with platinum include etoposide, paclitaxel, vinorelbine or gemcitabine. Chemotherapy improve survival in metastatic disease, as well as in locally advanced disease. Recently, clinical trails showed that the use of chemotherapy after resection of lung cancer, improve the survival of patients. Overall, chemotherapy (platinum based) have a role in treatment of lung cancer, but the prognosis for the long term, remains disappointing. 1) Bevacizumab (Avastin): Avastin is used in treatment of advanced non squamous NSCLC (stage III, IV). In squamous cell lung cancer, avastin resulted in high rate of pulmonary hemorrhage (12) and hence its use was restricted to non squamous non-small-cell-lung-cancer. Phase III study by Sandler et al. (5) showed that adding bevacizumab to paclitaxel and carboplatin compared to paclitaxel and carboplatin alone resulted in prolongation of median survival from 10.3 months to 12.3 months. There was though a 6 fold increase in significant bleeding, a 10 fold increase in severe hypertension, and a higher rate of febrile neutropenia in the group that received paclitaxel-carboplatin-bevacizumab compared to the paclitaxel-carboplatin control group (5). Interestingly, women who participated in this trail didn't benefit from avastin, with median overall survival of 13.1 months in the paclitaxel-carboplatin group, compared to 13.2 months in the paclitaxel-carboplatin-bevacizumab group (5). SCLC usually develops in the central airways. Most patients present with metastatic disease. Surgery usually is not applicable to most patients, except for patients with “very limited’ and operable disease. Radiotherapy is integral part of the treatment of SCLC (limited disease). Prophylactic radiation to the brain is used in some patients, especially in near or complete responders to induction chemotherapy. Radiation also plays a pivotal role in palliation (e.g. radiotherapy to painful bone lesion). Several drugs have a role in treatment of SCLC. Cisplatin or carboplatin are usually combined with etoposide (VP-16), and were proved to give favorable results in limited stage disease. Other regimens of chemotherapy for SCLC include the ICE protocol (Ifosfamide, Carboplatin, Etoposide), VIP (VP16=Etoposide, Ifosfamide, Platinol), and cisplatin& Irinotecan.